Mongolia is a destination that has been in the back of my mind for some time. 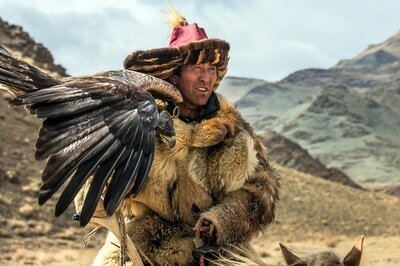 Then when I saw the recent documentary "The Eagle Huntress", I was hooked. 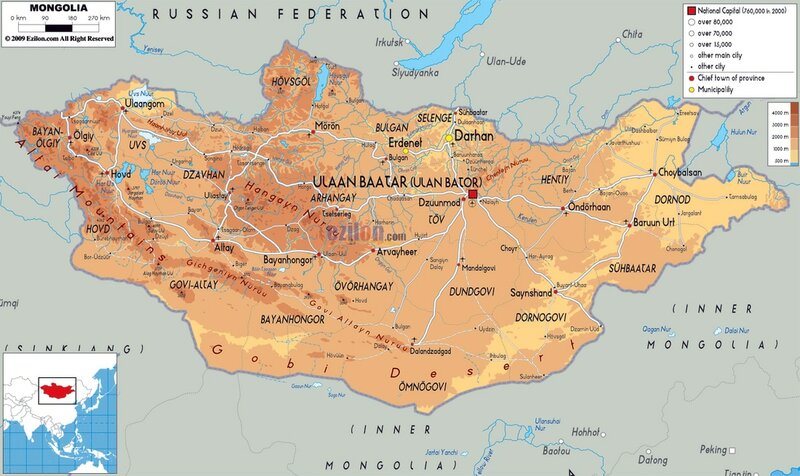 This tour to Mongolia begins in the capital city of Ulaanbaatar with the Gandan Monastery, the largest and most important center of Buddhism in the country. From there we take an internal flight south to the Gobi Desert, where we will visit the Yoi Valley and the famous Khongor Sand Dunes. We will explore the Flaming Cliffs in Bayanzag and spend two nights at the resplendent and award-winning Three Camels Lodge. After returning to Ulaanbaatar we will take another internal flight to the western part of the country to witness and participate in the Altai Kazakh Eagle Festival. We will have an opportunity to stay with a local family in a nomadic ger and photograph the local Kazakh population. 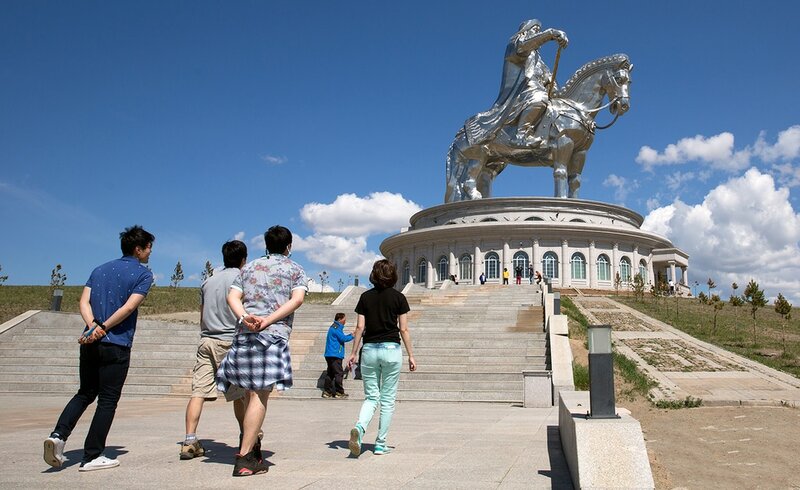 Returning to Ulaanbaatar, we will visit the Chinggis Khaan Statue complex in Tsonjin Boldog. This huge statue dominates the Mongolian steppe landscape and commemorates the time when Chinggis Khaan ruled the world. This tour will take us to a remote area of the world where tradition, ethnic dress and ways of living have endured for centuries. We will be accompanied by a local photographer-guide who will ensure that we return with remarkable images and memories. Upon arrival you will be picked up at the airport and transferred to the hotel where you will have some leisure time to rest time after the long flight. We will have a welcome dinner at a Mongolian restaurant and begin our journey with an orientation. Overnight at the modern five-star Blue Sky Hotel shown in the photograph below (the curved building). Today we will tour the highlights of this interesting city with it's combination of modern buildings and rather plain soviert-era structures. We will begin by visiting the Gandan Monastery, the largest and most important center of Buddhism in Mongolia. The highlight of this location is the magnificent Migdjdid Janraisig Temple where hundreds of Buddha images line the walls. The centerpiece is the large statue to Migdjid Janraisag, which rises about 60' high and is made of dazzling copper, covered with gold leaf. Inside this hollow statue are 334 sutras, 27 tons of medicinal herbs and over 2 million bundles of mantras. Later, we will visit the Mongolian National Museum before being turned loose to walk through the streets for local photography. Overnight at the Blue Sky Hotel. After breakfast we will fly to the Gobi desert area and transfer to our tourist ger camp where we will have some time to relax and explore our new surroundings. We will then drive to the Yol Valley, which is located in the Gobi Gurvan Saikhan Mountain National Park. This canyon does not receive sunlight and has a particular beauty with winding trails and narrow pathways. Because the cliffs block the sunlight from the river below, it remains frozen throughout the year. Overnight in the Goviin Bayanburd luxury ger camp. Ger camps are the traditional Mongolian large tent structures, which can be easily dismantled and moved to better grazing grounds. These felt tents are well-insulated and often accommodate several generations of the same family living together. Tourist ger camps consist of many individual tents, which are clustered together, and staying in these camps in close proximity to the very hospitable people is one of the highlights of traveling in Mongolia. Ger tents have two to four single beds, electricity and are very clean and comfortable as seen below. Some have bathrooms, while some have community showers and toilets. There is also a ger restaurant tent where both Mongolian and European meals are served. After breakfast we will drive to the Khongor Sand Dunes located in the south of the Gobi Desert. These dunes are some of the largest in the world and are called the "singing dunes" because as the wind shifts, small avalanches occur, creating a whistling noise. We will visit a family that breeds camels and have an opportunity to photograph them in their daily lives. To the north, the dunes are skirted by the Khongoryn Gol River, creating green pastures, creating an area where nomadic tribes continue to exist. Camel rides will be available and we will try to set up a shot of camels on the horizon line on top of the dunes. Overnight at the Gobi Erdene Ger Camp. DAY FIVE-SIX-SEPTEMBER 11-12-Khongor Sand Dunes to Bayanzag Flaming Cliffs. After our return to Ulaanbaatar we will have a relaxing afternoon when we can stroll throughout the city. 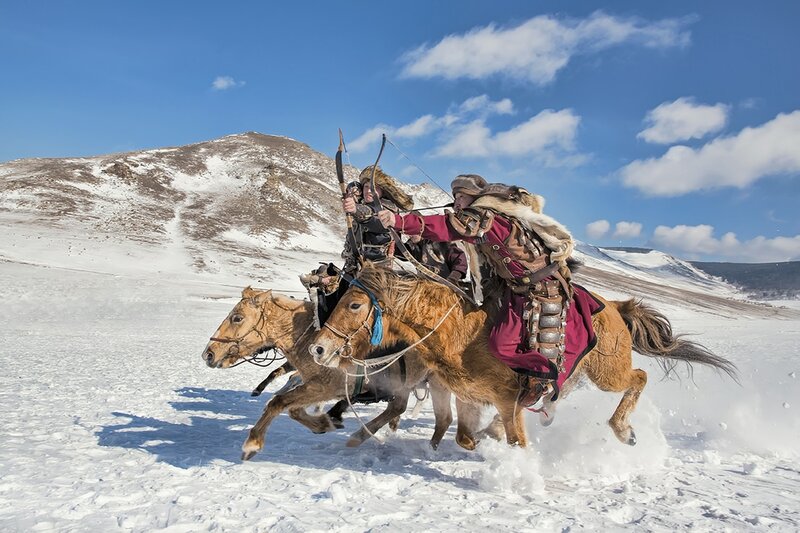 We will have time to prepare for our trip to western Mongolia and the Eagle Festival. Accommodations will be at the Blue Sky Hotel. We will fly to western Mongolia where we will be met at the airport by our driver. Ulgii has a large population of Kazakhs, a nationally recognized and very colorful Muslim minority. The Kazaks live a traditional nomadic life and are known for preserving their culture and lifestyle. Overnight in a local hotel. After breakfast we will drive about 30 kilometers on an unpaved road to reach the remote Eagle Festival in Sagsai Soum where we will spend the day. During the opening ceremony about forty eagle hunters will display their skills in several events, beginning with chasing a fox skin and calling their eagles from a distance. During the final event, the eagles will swoop down and catch a fox fur being pulled behind a horse. The festival also features a camel race of six kilometers and several Kazakh competitions including archery and Tiyn Tery, a race to pick up a coin on the ground while on horseback. There is also the Kyz Kuar or "woman chase", which features a man and woman racing while the woman whips the man. The highlight of the games is Kokpar or tug-of-war on horseback. 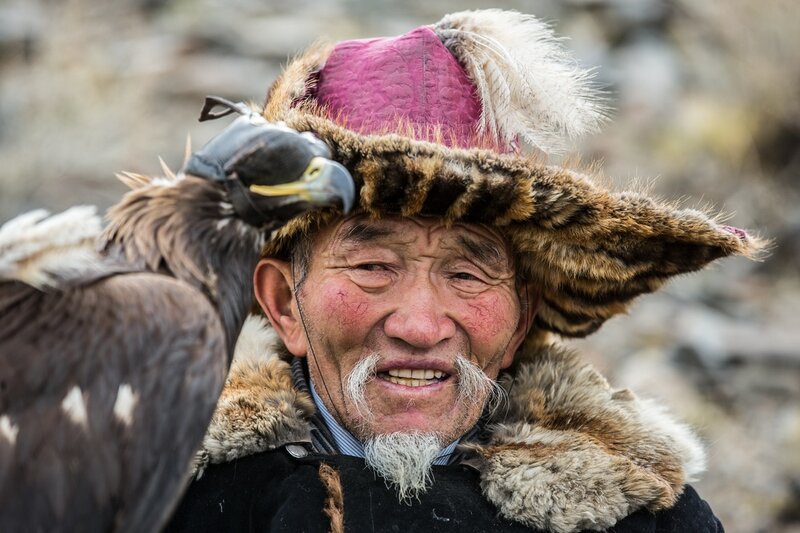 During this spectacular two day festival we will have many opportunities to get close to the participants and the eagles and it will be also possible to ride a horse and hold an eagle. For accommodation you will have the option of staying in a hotel or overnight in a local nomad family ger. We will take the return flight to Ulaanbaatar and again have a relaxing afternoon-evening to explore the city. Overnight at the Blue Sky Hotel. After breakfast we will have a one hour drive to visit the Chinggis Khaan Statue complex in Tsonjin Boldog. This huge statue is made of steel and rises 40 meters high. Visitors can take an elevator to the viewing deck on the horse's head and look over the magnificent Mongolian steppe. Lunch will be at a local ger camp before heading to Terelj National Park, one of the most beautiful destinations in Mongolia. We can take leisurely strolls through meadows carpeted with wildflowers, view the fascinating rock formations and wander along a quiet mountain stream. We will focus on Turtle Rock, an area with interesting rock formations with a backdrop of dramatic mountains. Overnight at the Terelj Lodge Ger Camp. We will drive back to Ulaanbaatar and visit the Bogd Khaan Winter Palace Museum. The palace was built from 1893-1903 and named "the Temple of Developing Wisdom" and dedicated to the VIII Bogd King Javzandamba, the head of the Mongolian religion. On April 1, 1926, after Bogd Khaan's death, a state museum office was created and it was decided to transfer the remaining property of the Bogd Khaan to public museum ownership. The museum now displays many objects of historic and artistic value, including religious idols and the royal collection of stuffed animals. The Bogd Khaan Palace Museum now consists of seven Summer Prayer Temples and the Winter Palace, which was built in a European style. In the evening we will go to a traditional folk song performance and have our farewell dinner. Overnight in the Blue Sky Hotel. DAY FOURTEEN-SEPTEMBER 20-Transfer to the airport for flights home. Please note that I have included several upgrades in this tour, which include top-tier lodging when it is available and two internal flights, saving us a lot of driving time. We will also have a local professional photographer guide with us throughout the tour. A non-refundable deposit of $800 is required along with the registration form and liability release form, which are available below. Please complete these two forms and send them to me along with a copy of the signature page of your passport and a deposit check made out to Douglas Steakley Photography. While this tour is designed for photographers, non-photographers or non-photographer spouses or friends are welcome and encouraged. My experience with these international tours has been that almost everyone wants to return with stunning images and improve their photographic skills. I will be available to assist with questions about photography at all levels from beginners to advanced. I have found that everyone's photographs improve as the trip progresses. ~We get up early in the morning to take advantage of dramatic sunrises and soft light. Dawn is a magic time to be out and about! ~We spend more time when photo opportunities present themselves. If the lighting is beautiful, we will stay and take advantage. Whether you are an advanced photographer or a beginner, you will appreciate the photo tips that will be given, which allows everyone to take stronger and more memorable images.